More than ever in the looming spectre of its multi-billion dollar IPO, Facebook realizes the need to beef up its mobile experience. 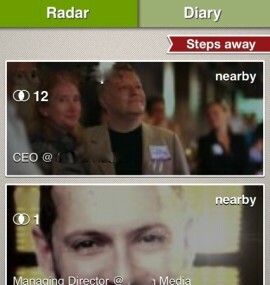 Which is why, in part, the company acquired Glancee, a mobile start-up that focuses on discovery of similar folks nearby. “We can’t wait for co-founders Andrea, Alberto and Gabriel to join the Facebook team to work on products that help people discover new places and share them with friends,” Facebook told AllThingsD in a statement. To date, Facebook has admitted to maintaining one product independently of Facebook, the billion-dollar Instagram. Despite this acquisition, following the Instagram purchase Facebook will most likely use the technology to ramp up its existing mobile application. As of late, Glancee competitors began to pop up, including the much-hyped Highlight application, the profile of which rose tremendously during South By Southwest 2012. One of the main issues with Highlight — and similar applications like Glancee — is the serious drain on battery life that the ambient discovery app causes while running in the background of the mobile phone. The fundamental premise of services like Glancee or Highlight is that you’re surrounded by folks you would probably get along with; based on shared interests or connections, these apps hook you up with others. But, of course, there’s the sticky issue of privacy, which Facebook knows all too well. Not everyone wants a new friend coming up and saying hello, however novel the app idea is. Regardless, it signals that Facebook remains committed to innovating in mobile. And that’s important, considering that nearly half of the company’s monthly visitors are accessing the site on a mobile device. The final sum and terms of the deal were not disclosed, but all three co-founding members of the Glancee team will join Facebook at its Menlo Park campus.